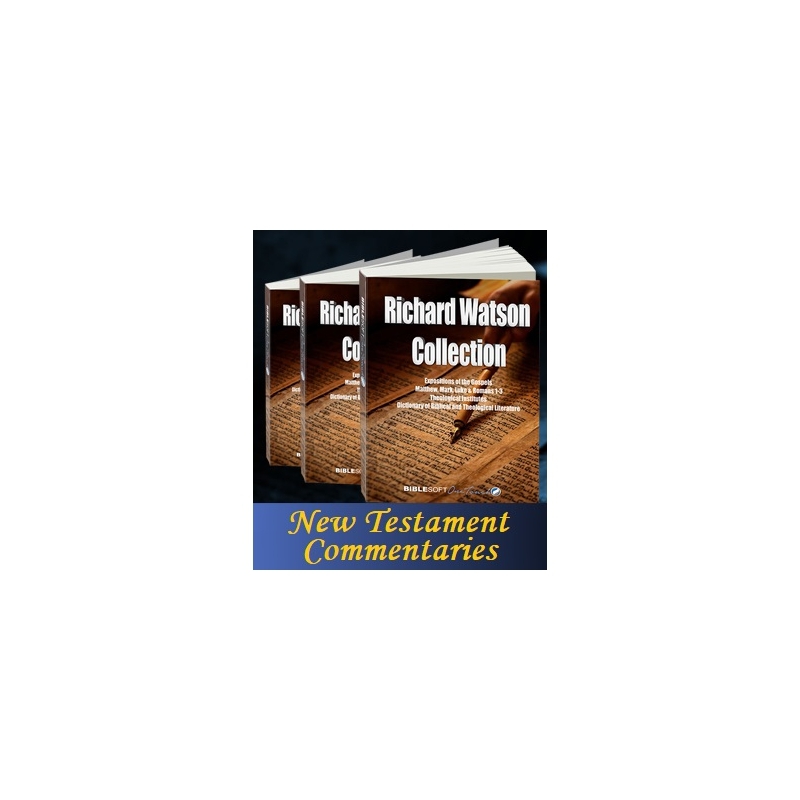 Commentaries on the Gospels and other parts of the New Testament by Methodist theologian and commentator Richard Watson. Richard Watson (1781-1833) was perhaps the leading Methodist theologian of the 19th century, and an influential figure in Britain, where he worked for the Wesleyan Missionary Society, and served as president of the Methodist Conference (1826). A prolific writer, Watson developed what might be called the first Methodist Systematic Theology, expressed in two of his most famous and enduring works—the Theological Institutes and the Biblical and Theological Dictionary (1832). 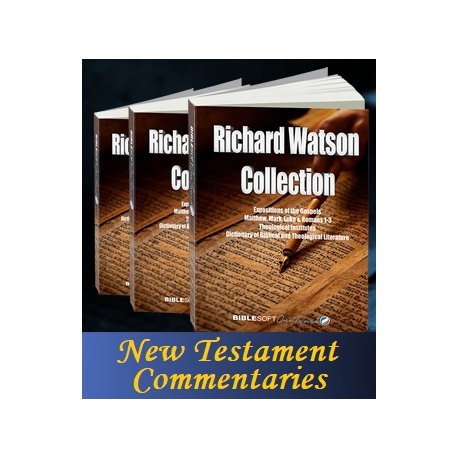 These are his published New Testament Commentaries, titled Expositions of the Gospels of Matthew and Mark and other Portions of the Holy Scriptures (1833) [also available in the larger 8-volume Watson Collection].